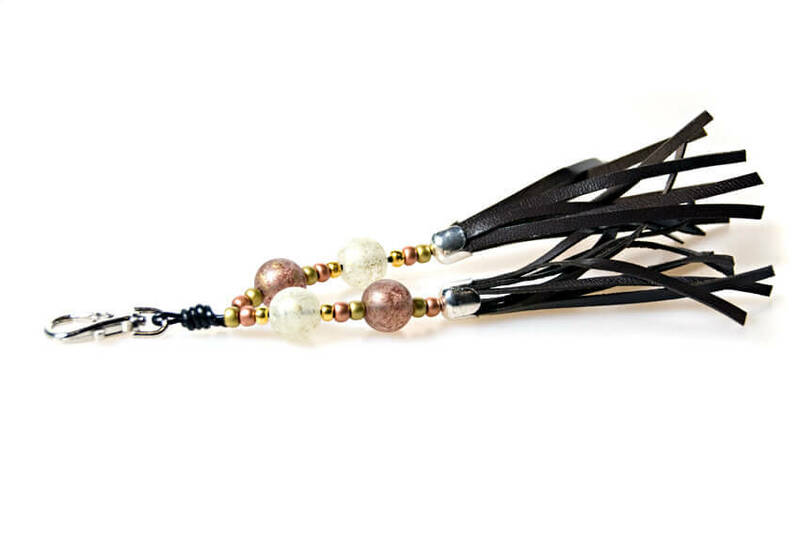 FREE reflective dog collar tag with every Dog Moda Whippet collar! 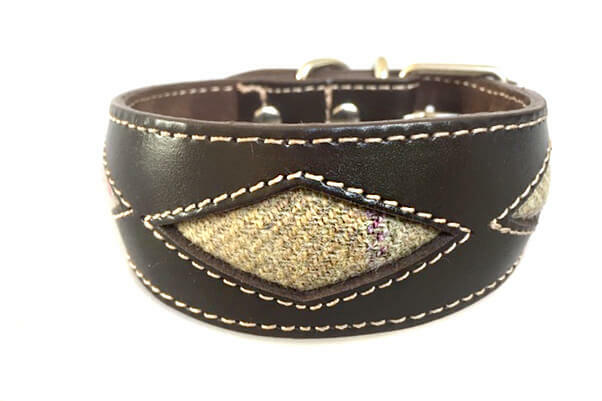 Our rhombi whippet collar design has been updated for spring/summer 2019 in this LIMITED EDITION Scottish tweed diamonds range. Striking colour combination of soft brown leather decorated with green fields or sand dunes tweed hearts with matching full suede leather lining and decorative stitching. 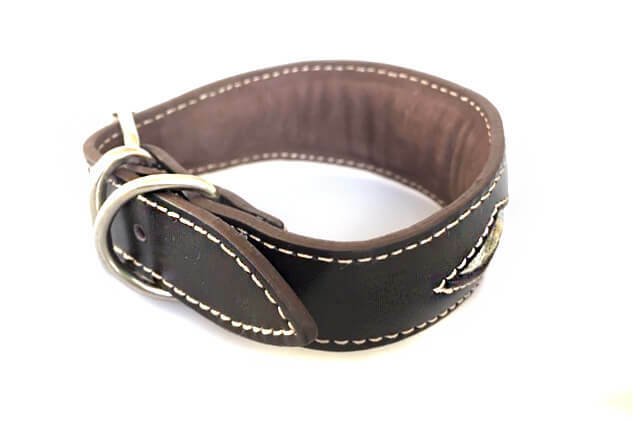 Combining style, practicality and comfort this handmade leather whippet collar is strong, durable yet lightweight and extremely comfortable on long delicate necks. 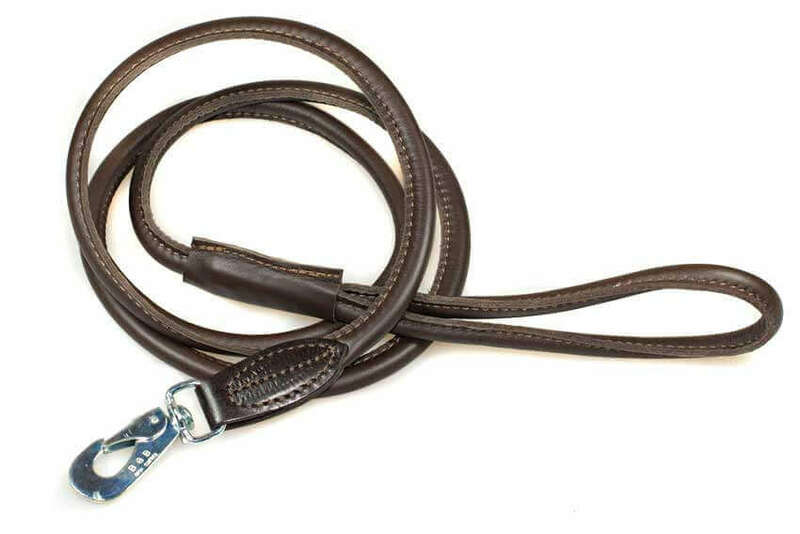 This whippet collar is handmade using strong solid D rings, high quality rivets, reinforced by double stitching, fully padded throughout and finished with matching powder blue leather lining along the whole length of the collar. This collar is now only available in size S to fit Whippets, Basenjis, smaller Salukis and puppies. 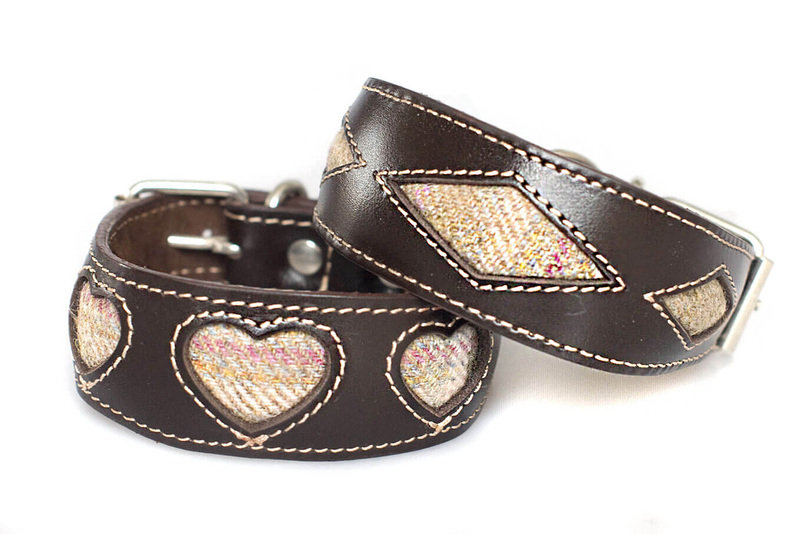 Sizes M and L available with our very popular and original three hearts shapes for the the more romantic hounds. Moreover, we are unable to source this Scottish tweed again, so once they are gone they are gone. 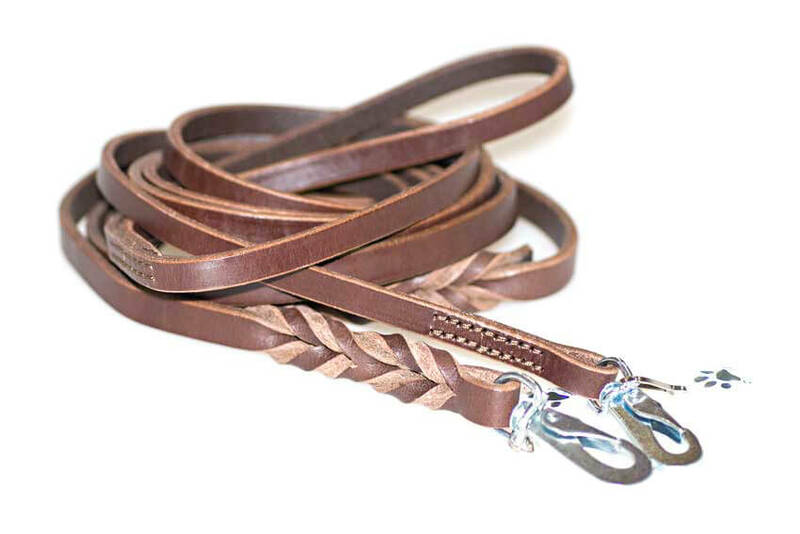 Choose from luxuriously soft and light brown rolled leather lead or classic bridle leather leads available as either wide plaited leather lead or narrow stitched lead and save money when buying collar and lead together.